An authentic treat that is 100% natural without any preservatives or additives. 12 per case. Dimensions: 7" x 1.25" x 1.25"
We first launched the all-natural Himalayan Dog Chews because of their rave reviews—not just from hounds, but from their owners, too. 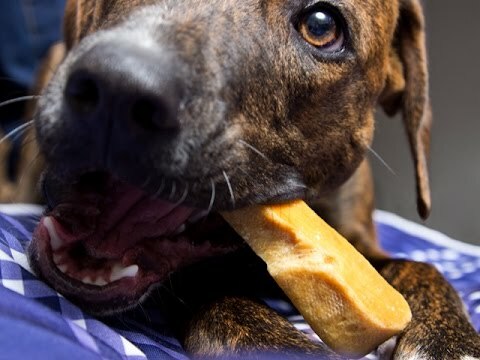 What started as a company producing a four-ingredient dog treat (yak milk, cow milk, salt, and lime juice) has grown into other healthy, dog-centered snacks. 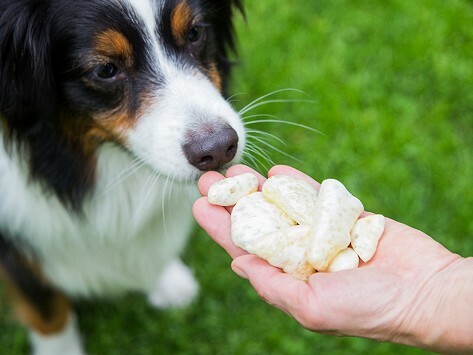 The Himalayan chews are dense, so it can take hours for a dog to finish one. And they pack a nutritional punch: more than 50% protein, almost no fat, and they’re completely digestible. The recipe for these chews comes from a dried cheese that nomadic Mongolian, Tibetan, and Nepalese people have eaten as a high protein snack for centuries. Sujan Shrestha, a Nepalese entrepreneur, along with his brothers and some friends, modified the recipe with dogs in mind. Now they hand make a variety of all-natural treats in the U.S., at their Washington State farm. With no preservatives and no additives, you and your pup will be pleased.